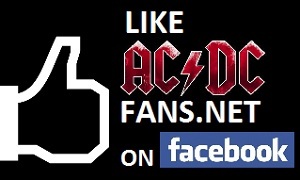 AC/DC news and discussions: What Are Your Concert Plans For 2019? I'll be seeing Def Leppard/Tesla in London, Ontario in July, and Queen a week later in Toronto. Steel Panther in Feb, hoping to catch Kvelertak should they tour aswell. Apart from the obvious of course! AC/DC in UK, Europe and hopefully the US. I'm gonna see Slash feat. Myles Kennedy and The Conspirators in March. Ariana Grande in New Orleans in May. And hopefully the first show of AC/DC's tour. Iron Maiden are an incredible live band. Saw them from the first row last summer and it was awesome. Dream Theater in March so far. My cousin bought me a ticket as a Christmas present so I couldn't say no. :) And if I can I'd like to see Maiden again later this summer. So far only Maiden in Chicago. Van Halen...if Mikey really is back then I could overlook Dave pretending to be a singer. Inferno, Ghost didn't play in your neck of the woods last year? They played in Laval (a 10 hour drive from where I live), but it was in December during my busiest time of the year, so that wasn't going to work. Rammstein in Rotterdam & Paris. Never seen them live before, except on youtube videos. I only recently got into them, as I mistakenly thought that because the sings were in German I wouldn't really enjoy them. That was one of the worst musical misjudgements of my life. I was supposed to be seeing Geordie in London on 20th January but the gig's been pulled. Posted By: Jet1984 Van Halen...if Mikey really is back then I could overlook Dave pretending to be a singer. Posted By: Goulash I was supposed to be seeing Geordie in London on 20th January but the gig's been pulled. Other than that i will save my money for AC/DC. Posted By: Wholelottatobe 2 live crew. I'd like to hit most of Japan, the Hammersmith Odeon, bang a few groupies, piss on the Alamo, maybe puke on something Trump. Get some good photos done, maybe record a gig or two for a future release. And of course, drink copious amounts with the fans — without them, I'd be nothing. Nope. At least not yet. They came through on the Meloria tour. I almost flew to Arizona to see them in November, but the timing just didn't work out. The Cure in Paris. Haven't seen them live for 25 years but everyone says they're back on form and Robert Smith still doesn't own a hairbrush. Has anyone ever been to the Charlotte, NC, Music Pavilion? It's the show I'm eyeing given that it's the closest to me but really don't know how much I want to spend on tickets (obviously the closer you get the more it costs) and want to know what the pavilion is like. Link to buy tickets is here (https://www.vividseats.com/concerts/iron-maiden-tickets/iron-maiden-pnc-music-pavilion-7-22-2905814.html) so you can get a view of the layout (although it doesn't really help very much). I've also seen photos of the pavilion with seats in it, but I doubt anyone would be sitting very close to the stage at a rock concert. As I said, stupid questions, but can anyone help me out with some recommendations and/or tips for the Pavilion itself or just concerts in general? I don't know anything about the venue, but one problem now is that if you want to buy a ticket at the regular on sale price, you are only left with seats on the side or the back. Sections 4 or 9 may be an okay choice because there are still some seats lower down for $79. Vivid seats is a secondary market site, and you'll pay a lot more. On top of the listed price, you'll get hit with a huge fee when you checkout. Is there a reason you didn't try to grab tickets when they first went on sale? I scored good seats by joining the Iron Maiden fan club for $40 and buying tickets during the presale. I got four tickets for me and friends, so it was only a $10 added fee to each ticket. Thanks, I appreciate it! The reason as to why I didn't get them earlier would be that I wasn't even a Maiden fan until 3 weeks ago and I have absolutely no experience in buying tickets, so hopefully that'll change in the near future. Posted By: MyCubiclePenguinThanks, I appreciate it! The reason as to why I didn't get them earlier would be that I wasn't even a Maiden fan until 3 weeks ago and I have absolutely no experience in buying tickets, so hopefully that'll change in the near future. My advice would be to just buy the $79 tickets in either section 4 or 9 and enjoy the show. There's probably no reason to pay a bunch of money to get super close, especially since you've just become a fan. It'll be a good show even in the those non-center seats. That venue looks like it has a good view from just about everywhere. I only got into Maiden in 2013 and have yet to see them - they played in the UK in August last summer the one month i'm never there. Enjoy. Saw Maiden for the first time in 2017 with Ghost in Chicago. Had a great time. And Penguin, if you can, be sure to get ya a bottle of Trooper! It's fantastic!